Simple website template is available for download on my blog. 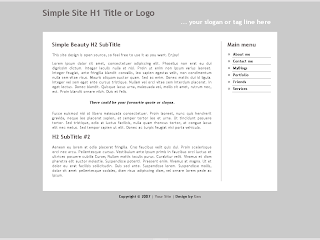 Template is 100% XHTML 1.0 Strict and CSS Valid. This is two column free css template with navigation bar in the right column. Template can be used for numbers of different projects. It is simple and very easy to customize.